The Bounce House is one of the most in demand items for kids’ birthday parties. If you are thinking about starting up a bounce house rental company, there is no better time to start than now. Los Angeles bounce house for sale is in demand, so with the right marketing and approach, you can get in on the action. UltimateJumpers.com has been manufacturing high quality inflatable units for more than 8 years. As professionals, we use 18.5 oz durable vinyl and provide amazing warranties. This makes the units dependable and long-lasting. You have nothing to lose when you put your faith in our company to come through with an amazing product at an amazing price point. In addition, the variety of inflatables that we offer is simply unmatched. 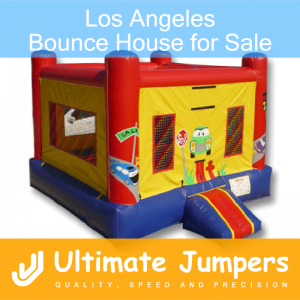 When it comes to Los Angeles Bounce House for Sale, Ultimate Jumpers should be your go-to company. Our customer service staff is knowledgeable, friendly, and professional. Feel free to approach us with any questions, concerns, ideas or suggestions.